WP Private Content Plus and User Profiles Made Easy plugins closely integrates together to provide wide range of content restriction features on the front-end of your website instead of ugly back-end interfaces. Now you can give more features to your users in front-end with eye catching design and restrict those features to various user types. 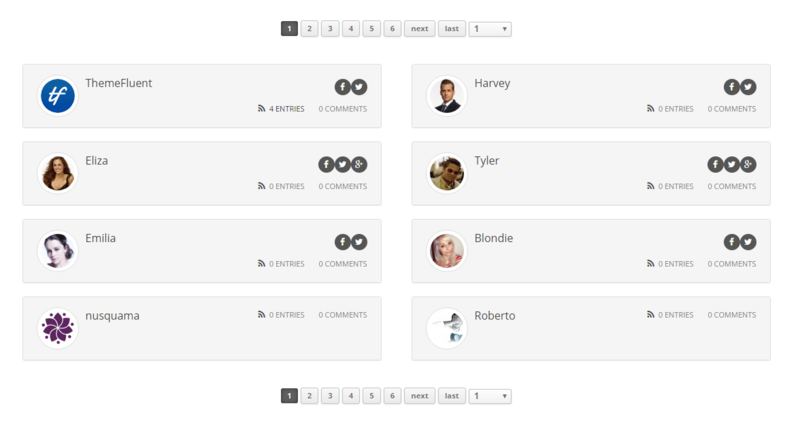 User Profiles Made Easy provide a fully featured front-end member directory for your site. You can list all the members of your site with a well designed profile and user profile data. This integration provides the ability to restrict the UPME front-end member directory to guests, members of specific user roles. Following screenshot previews how member directory is displayed in front-end. User Profiles Made Easy provide a fully featured user search for the member directory for your site. You can search users using different custom field values and list the results in member directory. This integration provides the ability to restrict the UPME front-end member search to guests, members of specific user roles. Following screenshot previews how member search is displayed in front-end. 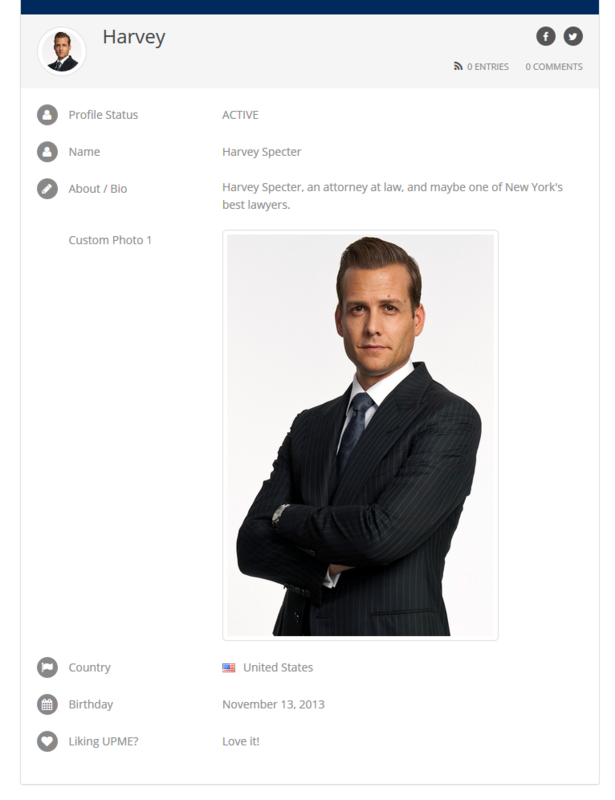 User Profiles Made Easy provide a fully featured user profiles with elegant design. You can can create different type of custom fields and manage your member data inside this profile. This integration provides the ability to restrict the UPME front-end user profile to guests, members of specific user roles. Following screenshot previews how user profile is displayed in front-end. WP Private Content Plus and PRO versions allows you to restrict content and redirect users to a specific page. However, it doesn’t offer the ability to let user login from the front-end. You have to redirect users to the default WordPress backend login. This integration allows you to redirect users to a beautiful front-end profile and let users login and get access to the restricted content. User Profiles Made Easy provide wide range of custom field types for user profiles. You can let users add different profile data using the custom fields. This integration provides the ability to restrict content based on the values of these custom fields. WP Private Content Plus provides features for restricting individual posts/pages or globally restricting all posts/pages/custom post types. However, it doesn’t provide the ability to lockdown the entire site for the guests. This integration allows you to restrict the entire site for users who are not logged into the site. User Profiles Made Easy plugin provides the ability to submit posts from the front-end and you can enable this feature for any member of your site. 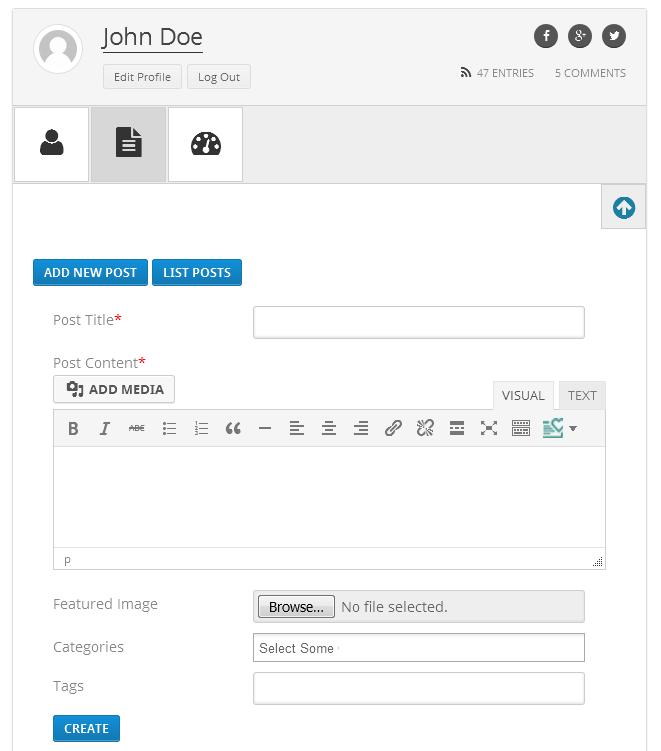 This integration allows you to restrict front-end post publishing to certain user types.